Welcome to Om International !!!!! 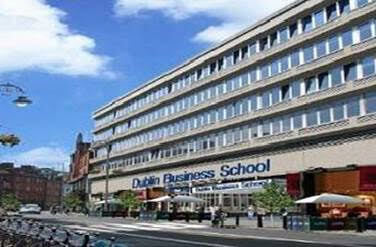 « DBS provides a comprehensive range of full-time undergraduate, postgraduate, professional programmes. Offering scholarship worth 2350 Euros per year for students applying to study undergraduate IT/IS/Computer Science Programs at DBS. 9 weeks Pre Master’s program is expected to commence on 10th July 2017. This is offered for the students with IELTS 6.0 Bands / 50 in PTE / 70 in IBT TOEFL. 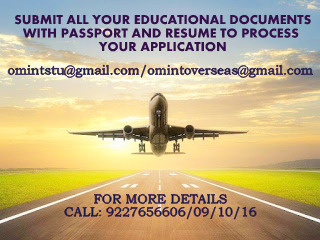 For SPOT Assessment Kindly Kindly Kindly Kindly bring your all original documents and a photocopy set - 10th & 12th Mark Sheets, Bachelor Degree & Mark Sheets, Curriculum Vitae, Work Experience Certificates (if applicable), IELTS/PTE (if taken), Passport, Photograph.